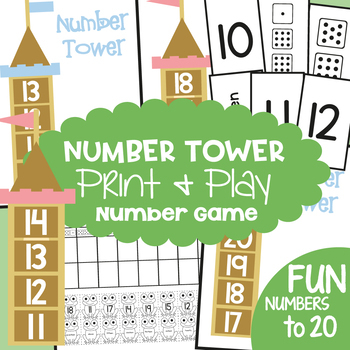 Number Tower is a fun activity for students to learn numerals, number words and dot patterns (subitizing) for numbers 11-20. 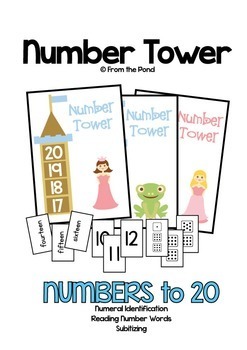 Help the princess and frog prince climb their towers by finding all the numbers! 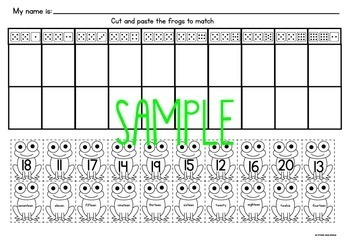 This printable game set enables you to play a motivating number game to help students learn to recognize and match numbers, number words and dot pattern combinations from ten to twenty. This file features a teaching tips page, a detailed instruction sheet, game cards, six different tower game boards, a worksheet and cover page. A worksheet for students to complete after they have played some games has also been provided.